Our Groovy little Granny Flat out the back. Ideal for a small family group or individuals happy to share a room. Comfortably sleeps up to 4 people in two Small Double beds. 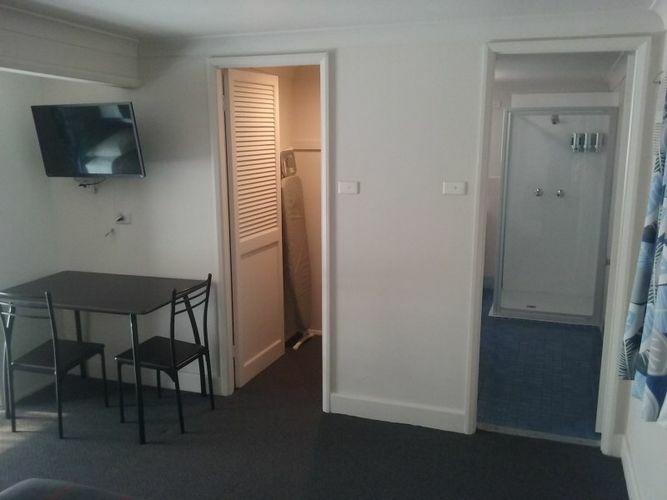 This room also has a box style reverse-cycle aircon, a small walk-in wardrobe and a good size ensuite. This family room is recently renovated with modern cabinetry and a full size fridge freezer. 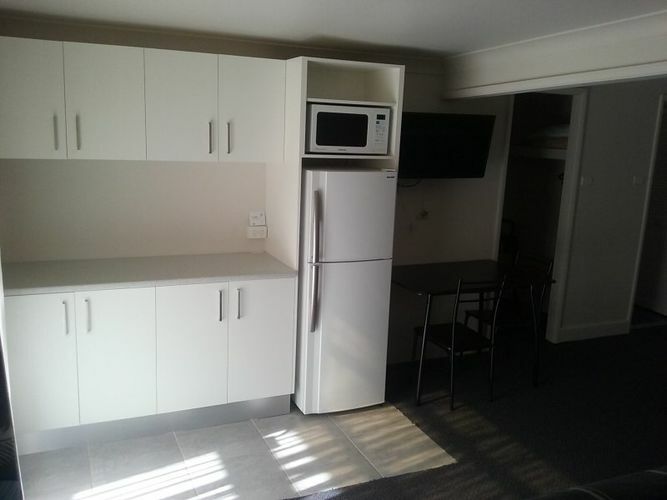 There are no cooking facilities but does come with a microwave, toaster and tea and coffee making facilities. The patio style entry door looks out over a small courtyard garden. This room is located to the rear of the property away from the highway with manual gated side access to the garden. Due to its private location at the rear of the property, Limited Wi-Fi is available in this room.